I’m not usually a fan of hybrids but this Sony’s release caught my attention. 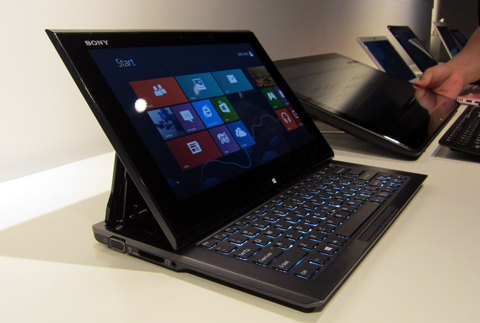 It has been quite a while since Sony sits atop as the best laptop/netbook brand with its Vaio series. 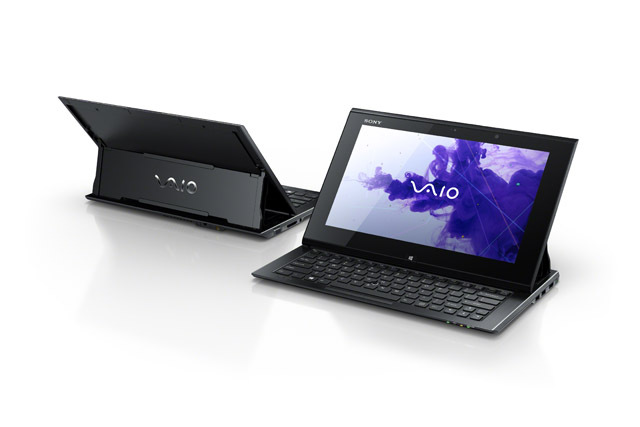 Now, the Japanese giant makes a Sony VAIO Duo 11 release to regain momentum using the latest Windows 8. This device is a hybrid ultrabook with sliding LCD display that switches between a tablet and an ultrabook with keyboard mode. The new Sony Surf Slider design is the interesting feature of this hybrid. It makes you use the tablet mode for you to surf the internet and use apps. You can also slide it to reveal the keyboard underneath in order for you to work on your documents or whenever you feel like using a physical keyboard. Tablet has 11.6-inch screen with 1920 x 1080 with OptiContrast Panel touchscreen. The tablet also reminds me of the Galaxy Note which has its own stylus for scribing notes and drawing stuff directly in the screen. Sony called it the Digitizer. The device runs in Intel Core i5 with 4GB of RAM. This will be launched in the 26th with a price tag of Php 69,999.